Be a part of the opengov movement with us. The Open Gov Hub is a co-working community in Washington, D.C. and a network of organizations promoting transparency, accountability, and civic engagement around the world. The 20,000 square foot Hub is the physical home of 40 organizations promoting these open government reforms through technology, research, media, and advocacy. to be the center for collaboration, learning, and innovation on opengov issues that helps members be more effective and have greater impact together. As a community, we collectively work toward making governments and public policy more efficient, transparent, accountable, and participatory across the globe. The Open Gov Hub regularly organizes and hosts a wide variety of activities and events at least once per week to promote collaboration and build community, many of which are open to the public. 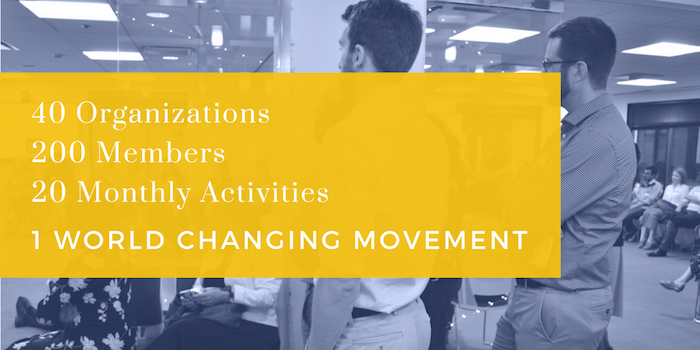 We also organize activities just for members to help them innovate, learn from and with each other, develop new skills, gain new knowledge, and work together to have greater impact. Check out the Hub Events Calendar to see what's going on. Learn more about the 40+ member organizations that make up our opengov community. Meet the great organizations based here. announcements from the OpenGov Hub community. (We never spam and your information will not be shared with any other party).